Millgate Bed and Breakfast is ideally located on a quiet lane less than a minutes walk from the historic Market Place where the cafés, pubs, restaurants and shops are located. Visitors are able to walk from Millgate B&B to explore on foot all this lovely town has to offer. Around the market place there are wonderful cafés offering treats from cakes to cappuccinos and a traditional fish & chip shop. Masham has four pubs, The Kings Head, The White Bear, The Bay Horse and The Bruce and all serve good food and beer. Situated in the centre of the historic market town of Masham, Millgate Bed and Breakfast is the perfect place to stay for business or pleasure. 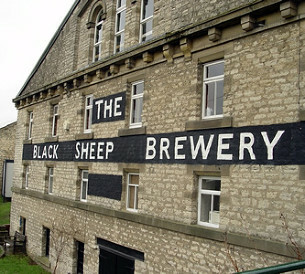 Masham is home to two famous breweries - Black Sheep and Theakston's and both offer visitor tours several times a day. 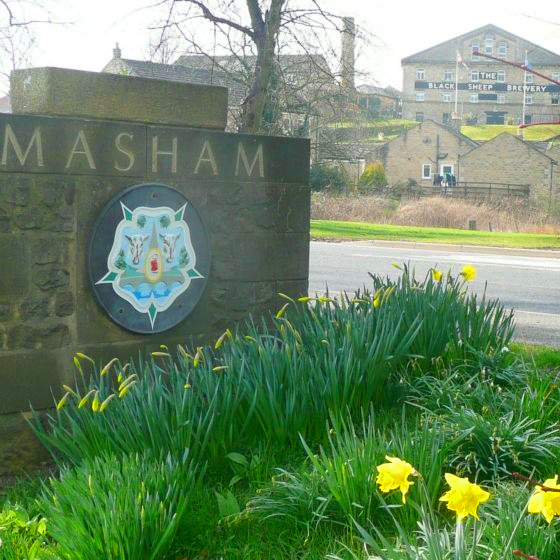 In Masham there are galleries and gift shops, sweet shops, clothes, antiques, florist, hairdressers, barber shop, beauty parlours, a vintage gift shop and a glass-maker. Craft fairs are held most weekends in the Town Hall. There is also a Bistro at the Black Sheep Brewery and in the centre of the town is Vennels, an award-winning fine dining restaurant. Turn right out of the front door onto Church Street, cross the Market Place and go down the lane called Millgate to explore lovely river walks. Walk upstream to the Fishermans' hut and then onto Marfield Wetlands and Wildfowl Sanctuary or downstream for a gentle selection of walks leading back into town or further afield to Hackfall Woods and the famous Ripon Rowel Walk. Every Wednesday and Saturday and on Bank Holidays. Short art & craft skills workshop just outside Masham. Treat yourself to a fantastic day out & create something special - from painting to blacksmithing, from printmaking to willow sculpture – they have something for everyone. Swinton Masham enrol on a one day cookery course. Situated 1 mile from Masham at Swinton Castle. Lessons and treks for all ages and abilities. Disabled riders welcome. 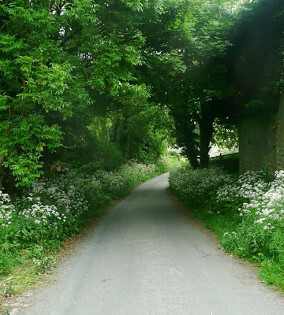 Travel up through Wensleydale stopping at Jervaulx Abbey, Middleham, Leyburn, Redmire, Bolton Castle, Carperby, Aysgarth, Bainbridge and Hawes, finishing up in Garsdale. From Leeming Bar, Bedale, Finghall or Leyburn on a Tuesday, Friday, Saturday or Sunday to Redmire and connect with the Vintage Bus to view Aysgarth Falls. Aysgarth Falls are a triple flight of waterfalls, over an almost a one-mile stretch near the village of Aysgarth. 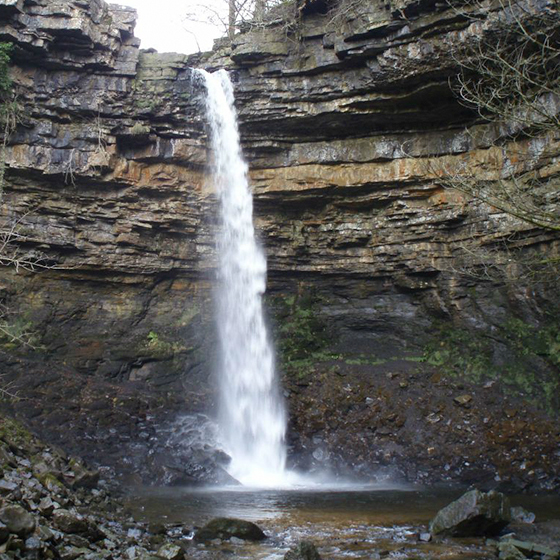 The falls are spectacular during wet weather, as thousands of gallons of water cascade over the series of broad limestone steps. The third full weekend of July. Brymor Ice Cream,High Jervaulx Farm, Near Masham. Founded in 1156, Jervaulx Abbey was once a great Cistercian monastery. Plundered and pillaged during the Dissolution of the Monasteries in the 16th century, the Abbey now stands as an enchanting, charming and atmospheric ruin, allowed to flourish by its private owners with wild flowers and plants freely exploring its many nooks and crannies. Visit the armoury, dungeon, Great Chamber, old kitchens, nursery and bed chambers. Have a go at backgammon, cards, dice and hand crafts such as luceting and spool knitting. Try quill writing, play quoits and ride hobby horses in the nursery. Most of the displays go ahead even in bad weather. The barn owl Orinnoco can fly inside in the threshing room for a spectacular and atmospheric display. at Leyburn Tourist Information Centre, followed by a visit to Warland's Tea Room & Coffee Shop. View the chocolates being made; see a film about chocolate before returning to the shop where you can buy unusual pieces such as chocolate stilettos! Originally built as a private folly but due to public demand was subsequently opened to the public. A great family day out. in Wensley has an amazing variety of candles for sale. See where the famous cheese is produced and buy your favourite to take home. Fascinating tours and great crafts workshops. Gayle Mill is a restored Victorian saw mill near Hawes, famously featured on the BBC Restoration programme. Gayle Mill is even improved by the rain! They rely on the rain to fill the Beck with water to power the turbines and drive the Victorian machinery. See sculptor, Michael Kusz at Graculus and cabinet maker, Philip Bastow. Watch cheese makers, bakers and brewers at work. Enjoy a visit to the cinema, admire the art exhibitions, enjoy a meal or scone in the café. Buy an ice cream from Archers. Then go for a walk along the old railway line alongside the lovely River Swale. The Museum tells the story of the illustrious Green Howards Regiment from its very beginnings to the present day.